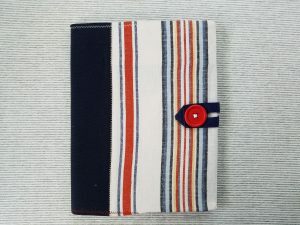 This is a unique, handcrafted composition notebook cover that is suitable for everyone: boys, girls, men and women of all ages. 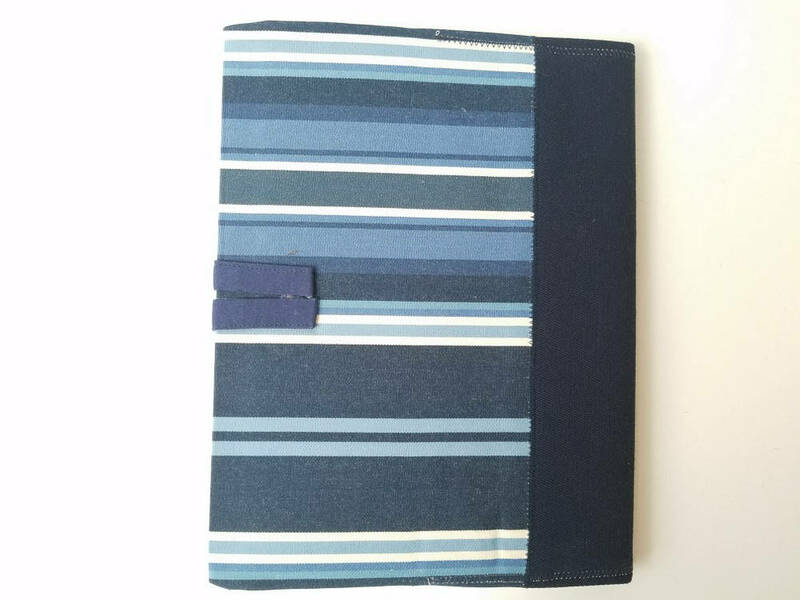 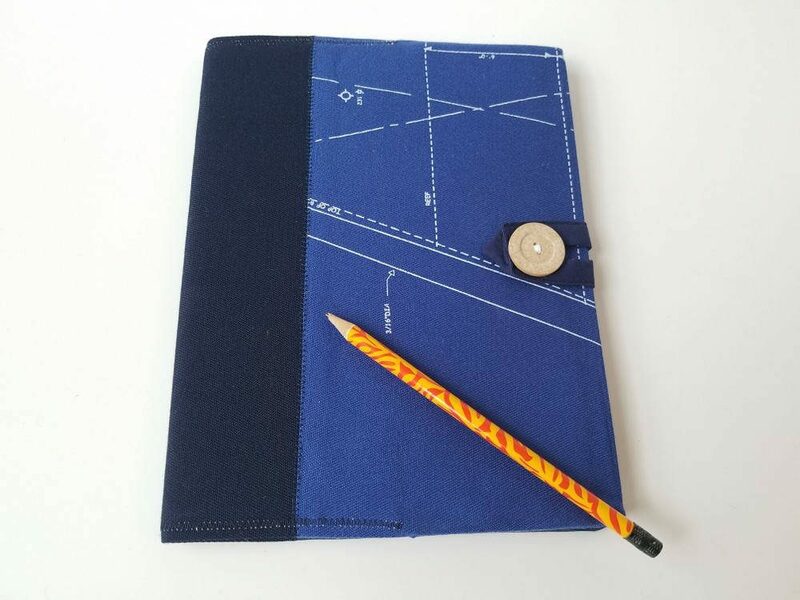 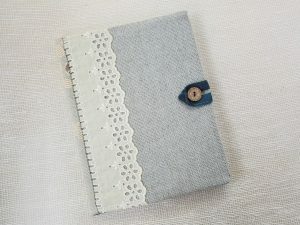 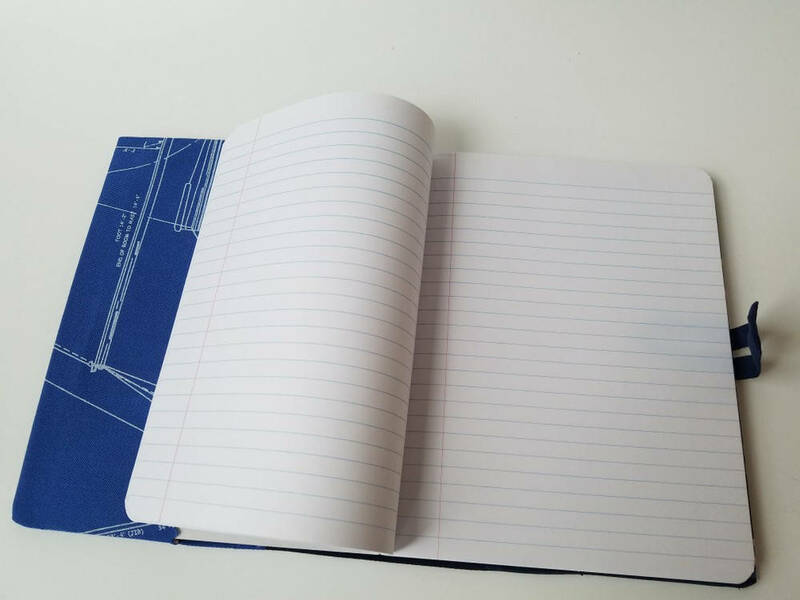 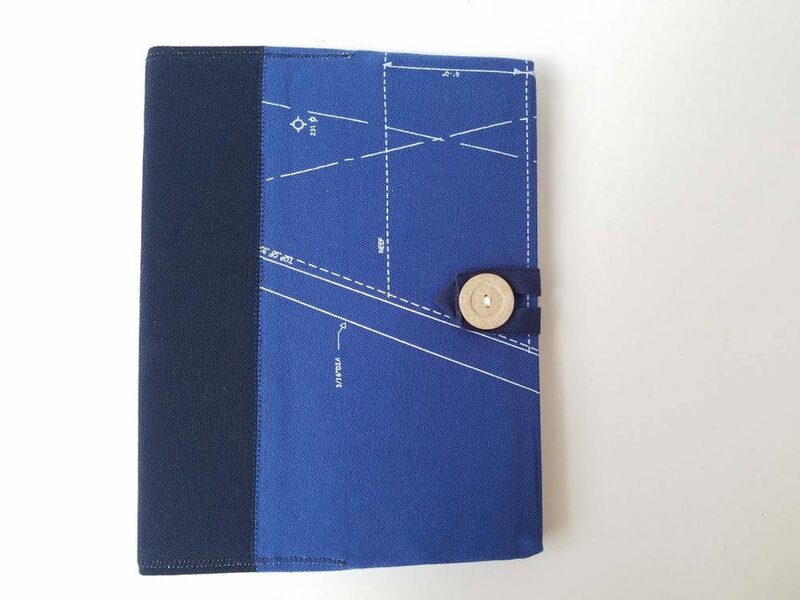 Designed of a patchwork of blue fabrics, it is made to fit a standard 7.25/7.5"x 9.75" composition notebook, so that you can keep using it even after you finish the original book. 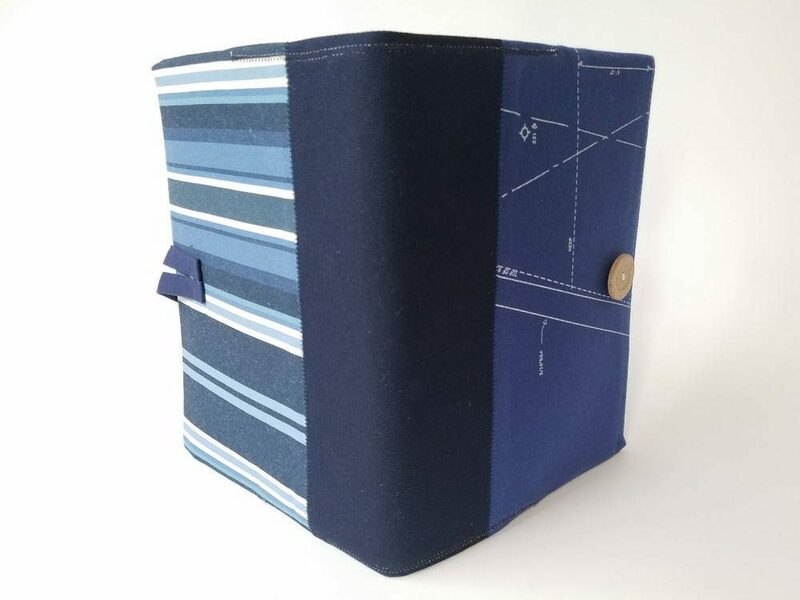 This is a truly earth-friendly item: it is made of upcycled textiles, and is refillable, meant to last many years. 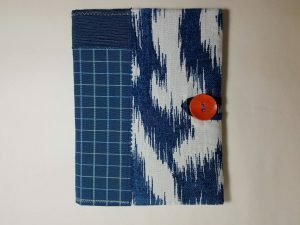 – The cover is made of different upcycled/rescued pieces of matching blue high-end designer upholstery fabrics, sewn together into a collage. 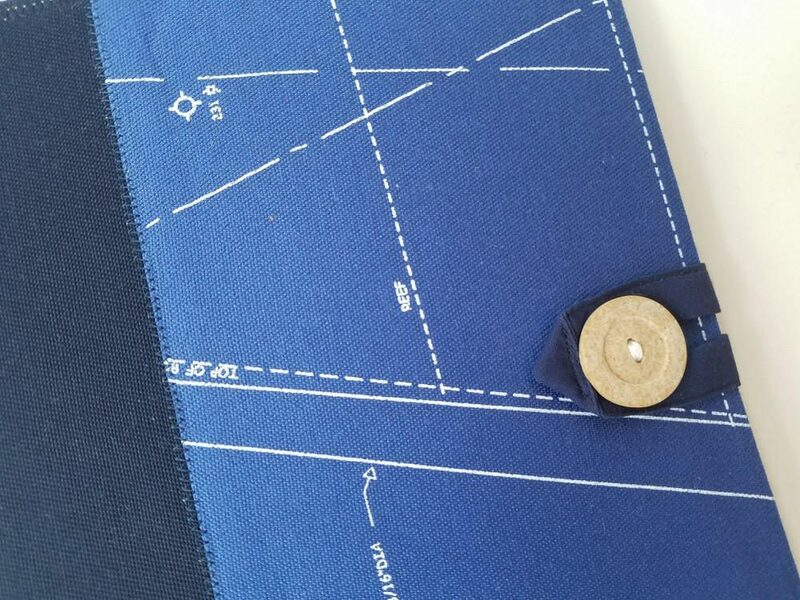 – It has a beige button and loop closure for added privacy.